Big data is huge and is expected to grow even more in the near future. People across the globe are including big data in their businesses. Also, the use of Data Analytics helps in finding the patterns and trends of customers for improved customer engagement. Big data and CRM is needed to know the perspective of the customer such as what he wants and what he likes. This helps in improving the customer experience and thus improve the engagement. Analytics can further empower you to take the right decision in the future which includes, how to invest smartly in the capital and how to optimize your company’s CRM system. If you're one of those who has not yet started using big data solution for your business, now is the right time before it's too late. Your business can even get doubled with its use! 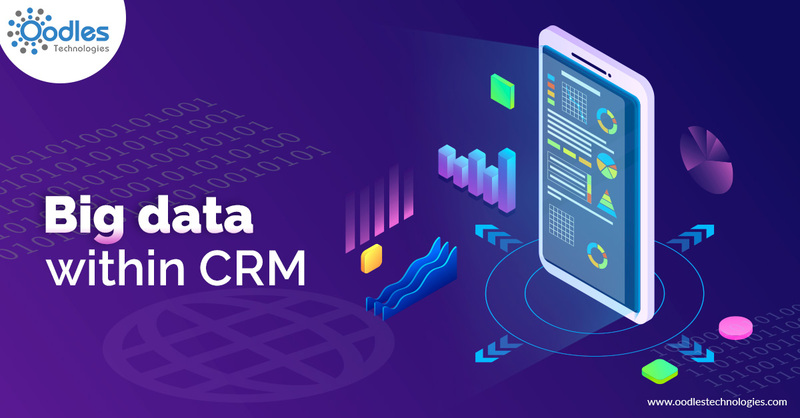 Integration of Big Data into a CRM solution helps the companies to predict customer behavior and calculate ROI. How is Big Data categorized? Social media – helps in understanding the customer sentiment. Server logs – helps in delivering responsive IT. Web clickstream – helps in gaining granular customer segmentation. Machine – helps in enabling predictive analytics. Big data helps the organizations to provide better customer services. Customers are the backbone of any company, thus making them happy is very important. Integration of big data into your CRM can provide excellent services to your customers. The large voluminous data helps the organization to track their customer trends. Predictive analytics helps the company to predict how your customers will respond in the future based on their past behavior. This helps the company to know whether their customer will return back to them or not which is based on their past complaint records, additional purchases etc. For any business, the biggest factor is to reduce the cost which is the major driving force for adopting the big data solutions. You can manage your future sales cost by looking into the initial sales cost. The future planning definitely reduces the whole business cost. Benchmarking helps the company to analyze how well the company is performing in comparison to other organizations. A good customer analytics gives the data to perform the benchmarking process. Benchmarking target various factors such as retention, customer satisfaction, CPC, and revenue. More and more companies have started to invest in the integration of big data in CRM. Keeping the growth of these two technologies in mind, it is essential to use them in your business. Together, they have the potential to take your business to new heights.